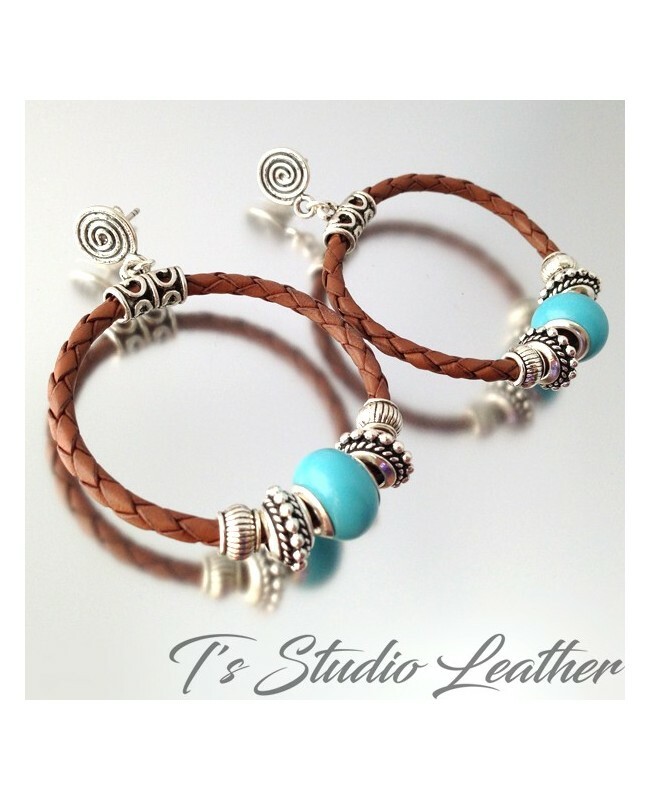 Fun and chic with a western flair, these hoop earrings are made with brown braided leather, and are adorned with turquoise and silver accent beads. Top earring component is antique sterling silver with spiral design. Earrings are available in a variety of colors. I gladly accept custom orders, if you would like a different color combination, please contact me. Earrings measure 1.75"W x 2.5"H.